Spencer Swinden’s design team have been busy transforming a space, which once was a small supermarket on the Shirley high street, into a tranquil fine dining oasis. This space has become the Lasan group’s second Fiesta Del Asado restaurant, specialising in Argentinian cuisine. The goal was to design a space of ‘effortless escape’ and ‘understated luxury’ – quoted from an article written about the new restaurant by food critic Paul Fulford – read here. Starting with a blank canvas and a vision, Spencer Swinden designers accepted the task of cutting away a slice of authentic Argentina and placing it in the heart of Shirley. Argentina, well known for its culture, natural wonders and of course, colourful Buenos Aires, is a country who is second to none when it comes to their expertise on steak and wine. A healthy combination of these things inspired the approach to designing the interior of Fiesta. The vibrant blues and greens echo the colours of the ocean which, sat next to the blush pinks, powder blues and splashes of gold, mimic exquisite Argentinian sunsets. A choice was made to curve the wall on the right-hand side of the restaurant. Not only does this give a cosy aspect to the wide dining space, but it succeeds in echoing the gorgeous ‘Igazu Falls’ which separates Argentina and Brazil, using a ‘waterfall’ of differing tones of green. The Bar was essential to the flow of the restaurant. 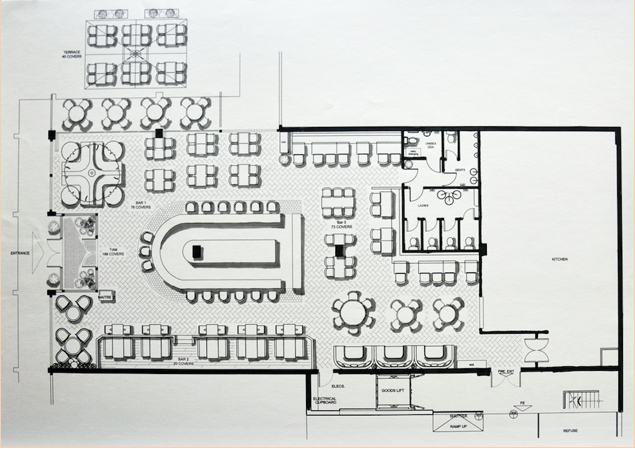 Mel’s goal was to create a sense of flow that encourages customers to explore the venue due to the various seating options. Her biggest challenge, she says, was capturing an element of intimacy within such an open plan space. The curve at the front of the bar is to encourage this movement and exploration. 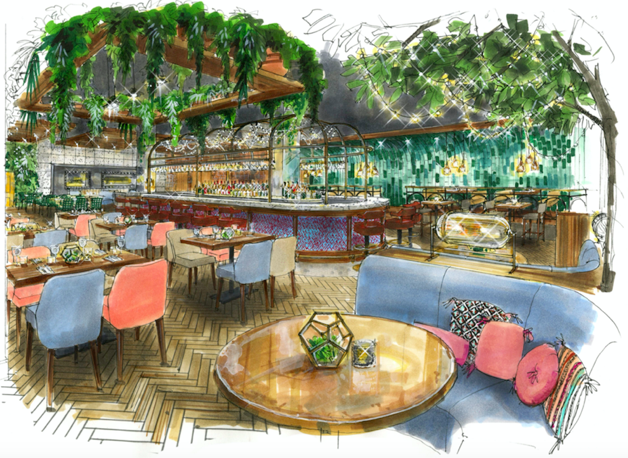 Mel and her designers are so very pleased with how the interior of Fiesta Del Asado has turned out and completely overjoyed to have their name attached to this exciting project. 177 Stratford Road, Shirley Shopping Precinct, Shirley B90 3AX.